On the evening of 8 December 1980, the English musician John Lennon, formerly of the Beatles, was shot and killed in the archway of the Dakota, his residence in New York City. The perpetrator was Mark David Chapman, a recently unemployed resident of Hawaii who was incensed by Lennon's lifestyle and public statements, especially his songs "Imagine" and "God" and his much-publicized remark about the Beatles being "more popular than Jesus". Weeks before the murder, Lennon released his first album since 1975, Double Fantasy, which had marked a comeback for himself. Chapman planned the killing over the course of several months and arrived in New York City two days prior. He began waiting for Lennon at the Dakota on the morning of 8 December. During the afternoon, he met Lennon, who signed his copy of Double Fantasy before leaving for a recording session at Record Plant Studio. Around 10:50 p.m., Lennon returned with his wife Yoko Ono. From the street behind them, Chapman fired five hollow-point bullets from a .38 special revolver, four of which hit Lennon in the back and shoulder, puncturing his left lung and left subclavian artery. Chapman remained at the scene and was promptly arrested. Lennon was rushed in a police cruiser to Roosevelt Hospital, where he was pronounced dead on arrival. A worldwide outpouring of grief ensued on an unprecedented scale. The first media report of Lennon's death to a US national audience was announced by sportscaster Howard Cosell, on ABC's Monday Night Football. Crowds gathered at Roosevelt Hospital and in front of the Dakota, and at least three Beatles fans committed suicide. Among the affected was friend Harry Nilsson, who largely retired from the music industry to campaign for gun control, and John Hinckley Jr., whose attempted assassination of Ronald Reagan was partly motivated by Lennon's death. The event also inspired songs, films, physical memorials, annual gatherings, and other commemorations. The 2016 biographical film The Lennon Report was created to dispel misconceptions about the nurses and doctors who tried to resuscitate Lennon, while two other films center on Chapman and the murder: The Killing of John Lennon (2006) and Chapter 27 (2007). Lennon was cremated at the Ferncliff Cemetery in Hartsdale, New York on 12 December; the ashes were given to Ono, who chose not to hold a funeral for him. Chapman plead guilty to the murder and was given a reduced sentence of 20-years-to-life imprisonment. He has been denied parole ten times since becoming eligible in 2000. Photographer Annie Leibovitz went to the Lennons' apartment to do a photo shoot for Rolling Stone magazine. Leibovitz promised Lennon that a photo with Ono would make the front cover of the magazine, even though she initially tried to get a picture with Lennon by himself. Leibovitz said, "Nobody wanted [Ono] on the cover". Lennon insisted that both he and his wife be on the cover, and after taking the pictures, Leibovitz left their apartment at 3:30. After the photo shoot, Lennon gave what would be his last interview, to San Francisco DJ Dave Sholin, for a music show to be broadcast on the RKO Radio Network. At 5:40, Lennon and Ono, delayed by a late limousine, left their apartment to mix the song "Walking on Thin Ice" (an Ono song featuring Lennon on lead guitar) at the Record Plant Studio. At approximately 5:00 p.m., Lennon and Ono were walking to a limo (shared with the RKO Radio crew) when they were approached by Mark David Chapman, who was seeking an autograph. It was common for fans to wait outside the Dakota to meet Lennon and ask for his autograph. Chapman, a 25-year-old security guard from Honolulu, Hawaii, had previously travelled to New York to murder Lennon in October (before the release of Double Fantasy), but had changed his mind and returned home. Chapman silently handed Lennon a copy of Double Fantasy, and Lennon obliged with an autograph. After signing the album, Lennon asked, "Is this all you want?" Chapman smiled and nodded in agreement. Lennon fan Paul Goresh (1959 - 2018) took a photo of the encounter. Chapman had been waiting for Lennon outside the Dakota since mid-morning and had even approached the Lennons' five-year-old son, Sean, who was with the family nanny, Helen Seaman, when they returned home in the afternoon. According to Chapman, he briefly touched the boy's hand. The Lennons spent several hours at the Record Plant studio before returning to the Dakota at approximately 10:50 p.m. Lennon had decided against dining out so he could be home in time to say goodnight to his son, before going on to the Stage Deli restaurant with Ono. Lennon liked to oblige, with autographs or pictures, any fans who had been waiting for long periods of time to meet him, and said during a 6 December 1980 interview with BBC Radio's Andy Peebles: "People come and ask for autographs, or say 'Hi', but they don't bug you." 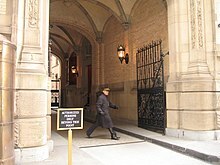 The Lennons exited their limousine on 72nd Street instead of driving into the more secure courtyard of the Dakota. 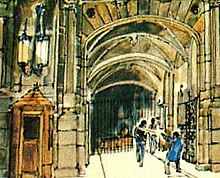 The Dakota doorman Jose Perdomo and a nearby taxi driver saw Chapman standing in the shadows by the archway. As Lennon passed by, he glanced briefly at Chapman and nodded slightly, appearing to recognize him from earlier. Seconds later, Chapman took aim at the center of Lennon's back and fired five hollow-point bullets at him from a Charter Arms .38 Special revolver, in rapid succession, from a distance of about nine or ten feet (about 3 m). Based on statements made that night by NYPD Chief of Detectives James Sullivan, numerous radio, television, and newspaper reports claimed at the time that, before firing, Chapman called out, "Mr. Lennon", and dropped into a combat stance. Later court hearings and witness interviews did not include either "Mr. Lennon" or the "combat stance" description. Chapman has said he does not remember calling out to Lennon before he fired, and that Lennon did not turn around. He claimed to have taken a "combat stance" in a 1992 interview with Barbara Walters. The first bullet missed, passing over Lennon's head and hitting a window of the Dakota building. The next two bullets struck Lennon in the left side of his back, and the other two penetrated his left shoulder. Lennon, bleeding profusely from external wounds and from his mouth, staggered up five steps to the security/reception area where he said, "I'm shot, I'm shot". He then fell to the floor, scattering cassettes that he had been carrying. Perdomo ran inside and told concierge worker Jay Hastings that the attacker had dropped his gun on the sidewalk. Hastings first started to make a tourniquet, but upon ripping open Lennon's blood-stained shirt and realizing the severity of the musician's multiple injuries, he covered Lennon's chest with his uniform jacket, removed his blood-covered glasses, and summoned the police. Chapman then removed his coat and hat in preparation for the arrival of police—to show he was not carrying any concealed weapons—and remained standing on West 72nd Street. Perdomo shouted at Chapman, "Do you know what you've done? ", to which Chapman calmly replied, "I just shot John Lennon." Chapman was wearing a promo t-shirt for the musician Todd Rundgren's album Hermit of Mink Hollow. Officers Steven Spiro and Peter Cullen were the first policemen to arrive at the scene; they were at 72nd Street and Broadway when they heard a report of shots fired at the Dakota. The officers arrived around two minutes later and found Chapman standing very calmly on West 72nd Street. They reported that Chapman had dropped the revolver to the ground and was holding a paperback book, J. D. Salinger's The Catcher in the Rye. Later, he claimed, "If you were able to view the actual copy of The Catcher in the Rye that was taken from me on the night of Dec. 8, you would find in it the handwritten words, 'This is my statement.'" They immediately put Chapman in handcuffs and placed him in the back seat of their squad car. Chapman made no attempt to flee or resist arrest. Officer Herb Frauenberger and his partner Tony Palma were the second team, arriving a few minutes later. They found Lennon lying face down on the floor of the reception area, blood pouring from his mouth and his clothing already soaked with blood, with Hastings attending to him. Realizing the extent of Lennon's injuries, the policemen decided not to wait for an ambulance and immediately carried Lennon into their squad car. 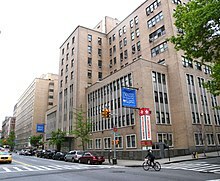 He was rushed to St. Luke's-Roosevelt Hospital Center. Officer James Moran said they placed Lennon in the back seat. Reportedly, Moran asked, "Are you John Lennon?" to which Lennon nodded and replied, "Yes." According to another account by officer Bill Gamble, Lennon nodded slightly and tried to speak, but could only manage to make a gurgling sound, and lost consciousness shortly thereafter. A few minutes before 11:00PM, Moran arrived with Lennon in his squad car. Moran was carrying Lennon on his back and onto a gurney, demanding a doctor for a multiple gunshot wound victim. When Lennon was brought in, he was not breathing, and had no pulse. Three doctors, a nurse, and two or three other medical attendants worked on Lennon for ten to twenty minutes in an attempt to resuscitate him. As a last resort, the doctors cut open Lennon's chest and attempted manual heart massage to restore circulation, but they quickly discovered that the damage to the blood vessels above and around Lennon's heart from the multiple bullet wounds was too great. Two of the four bullets that struck Lennon's back passed completely through his body and out of his chest. One bullet hit and became lodged in his upper left arm, while the fourth lodged itself in his aorta beside his heart. Nearly all of them would have been fatal by themselves, because each bullet had ruptured vital arteries around the heart. Lennon had been shot four times at close range with hollow-point bullets and his affected organs—particularly his left lung and major blood vessels above his heart—were virtually destroyed upon impact. Information regarding who operated on and attempted to resuscitate Lennon has varied. Many reports credit Stephan Lynn, the head of the Emergency Department at Roosevelt Hospital, with performing Lennon's surgery. In 2005, Lynn recalled being the one massaging Lennon's heart and attempting to resuscitate him for 20 minutes, that two other doctors were present, and that the three of them together declared Lennon's death. Conversely in 1990, Richard Marks, an emergency room surgeon at Roosevelt Hospital, stated he operated on Lennon, administered a "massive" blood transfusion, and provided heart massage to no avail. "When I realized he wasn't going to make it," said Marks, "I just sewed him back up. I felt helpless." In 2015, surgeon David Halleran disputed the accounts of both Marks and Lynn, stating that the two doctors "didn't do anything." Halleran also stated that he did not realize who he was operating on initially, and that Lynn only came to assist him when he heard that it was Lennon. At the time, Halleran was a third-year general surgery resident at Roosevelt Hospital. If he [Lennon] had been shot this way in the middle of the operating room with a whole team of surgeons ready to work on him... he still wouldn't have survived his injuries. Lennon was pronounced dead on arrival at 11:15 p.m., but the time of 11:07 p.m. has also been reported. The surgeons noted—as did other witnesses—that a Beatles song ("All My Loving") came over the hospital's sound system at the moment Lennon was pronounced dead. His body was then taken to the city morgue at 520 First Avenue for an autopsy. The cause of death was reported on his death certificate as "hypovolemic shock, caused by the loss of more than 80% of blood volume due to multiple through-and-through gunshot wounds to the left shoulder and left chest resulting in damage to the left lung, the left subclavian artery, the aorta and aortic arch". According to the report, even with prompt medical treatment, no person could have lived for more than a few minutes with such multiple bullet injuries to all of the major arteries and veins around the heart. Lynn informed Ono of her husband's death. According to Lynn, Ono started sobbing and said, "Oh no, no, no, no ... tell me it's not true!" He said that Ono then lay down and began hitting her head against the floor, but calmed down when a nurse gave Lennon's wedding ring to her. His account is disputed by two of the nurses who were there. In a 2015 interview, Ono denied hitting her head on a concrete floor and stated that her chief concern at the time was to remain calm and take care of her son Sean. She was led away from Roosevelt Hospital by a policeman and Geffen Records' president, David Geffen. Ono asked the hospital not to report to the media that her husband was dead until she had informed their five-year-old son Sean, who was at home. Ono said he was probably watching television and did not want him to learn of his father's death from a TV announcement. Meanwhile, news producer Alan J. Weiss of WABC-TV had been waiting to be treated in the Roosevelt Hospital ER after being injured in a motorcycle accident earlier in the evening. Weiss recalled in a 2013 interview for the CNN series Crimes of the Century that he had seen Lennon being wheeled into the room surrounded by several police officers. After he learned what happened, Weiss called back to the station to relay the information. Eventually, word made its way through the chain of command to ABC News president Roone Arledge, who was tasked with finding a way to bring this major development to the viewing audience. While all of this was happening, Arledge, who was also the president of the network's sports division, was presiding over ABC's telecast of Monday Night Football in his capacity as its executive producer. When Arledge received word of Lennon's death, a game between the New England Patriots and the Miami Dolphins was tied with less than a minute left in the fourth quarter and the Patriots were driving toward the potential winning score. As the Patriots tried to put themselves in position for a field goal, Arledge informed Frank Gifford and Howard Cosell of the shooting and suggested that they be the ones to report on the murder. Cosell, who had interviewed Lennon during a Monday Night Football broadcast in 1974, was chosen to do so but was apprehensive of it at first, as he felt the game should take precedence and that it was not their place to break such a big story. Gifford convinced Cosell otherwise, saying that he should not "hang on to (the news)" as the significance of the event was much greater than the finish of the game. Cosell: ... but [the game]'s suddenly been placed in total perspective for us. I'll finish this; they're in the hurry-up offense. Gifford: Third down, four. [Chuck] Foreman ... it'll be fourth down. [Matt] Cavanaugh will let it run down for one final attempt; he'll let the seconds tick off to give Miami no opportunity whatsoever. (Whistle blows.) Timeout is called with three seconds remaining; John Smith is on the line. And I don't care what's on the line, Howard, you have got to say what we know in the booth. Cosell: Yes, we have to say it. Remember this is just a football game, no matter who wins or loses. An unspeakable tragedy confirmed to us by ABC News in New York City: John Lennon, outside of his apartment building on the West Side of New York City—the most famous, perhaps, of all of the Beatles—shot twice in the back, rushed to Roosevelt Hospital, dead on arrival. Hard to go back to the game after that newsflash, which, in duty bound, we have to take. Frank? Gifford: (after a pause) Indeed, it is. NBC momentarily broke into its East Coast feed of The Best of Carson for its bulletin of Lennon's death before returning in the middle of a comedy piece being performed by Johnny Carson. New York rock station WNEW-FM 102.7 immediately suspended all programming and opened its lines to calls from listeners. Stations throughout the country switched to special programming devoted to Lennon and/or Beatles music. The following day, Ono issued a statement: "There is no funeral for John. John loved and prayed for the human race. Please do the same for him. Love, Yoko and Sean." The outpouring of grief, wonder and shared devastation that followed Lennon's death had the same breadth and intensity as the reaction to the killing of a world figure: some bold and popular politician, like John or Robert Kennedy, or a spiritual leader, like Martin Luther King Jr. But Lennon was a creature of poetic political metaphor, and his spiritual consciousness was directed inward, as a way of nurturing and widening his creative force. That was what made the impact, and the difference — the shock of his imagination, the penetrating and pervasive traces of his genius—and it was the loss of all that, in so abrupt and awful a way, that was mourned last week, all over the world. On the day following the murder, George Harrison issued a prepared statement for the press: "After all we went through together, I had and still have great love and respect for him. I am shocked and stunned. To rob a life is the ultimate robbery in life. The perpetual encroachment on other people's space is taken to the limit with the use of a gun. It is an outrage that people can take other people's lives when they obviously haven't got their own lives in order." Harrison later privately told friends, "I just wanted to be in a band. Here we are, 20 years later, and some whack job has shot my mate. I just wanted to play guitar in a band." Paul McCartney was leaving an Oxford Street recording studio when reporters asked him for his reaction; he responded, "Drag, isn't it?". When publicised, the response was widely criticised, and even McCartney himself regretted the seemingly callous remark. McCartney later said that he had intended no disrespect and simply was unable to articulate his feelings, given the shock and sadness he felt over Lennon's murder. Lennon's death triggered an outpouring of grief around the world on an unprecedented scale. His remains were cremated at Ferncliff Cemetery in Hartsdale, Westchester County, New York; no funeral was held. Ono sent word to the chanting crowd outside the Dakota that their singing had kept her awake; she asked that they re-convene at the Central Park Bandshell the following Sunday for ten minutes of silent prayer. On 14 December 1980, millions of people around the world responded to Ono's request to pause for ten minutes of silence to remember Lennon. Thirty thousand gathered in Lennon's hometown of Liverpool, England, and the largest group—over 225,000—converged on Central Park, close to the scene of the shooting. For those ten minutes, every radio station in New York City went off the air. At least three Beatles fans committed suicide after the murder, leading Ono to make a public appeal asking mourners not to give in to despair. On 18 January 1981, a full-page open letter from Ono appeared in The New York Times and The Washington Post. Titled "In Gratitude", it expressed thanks to the millions of people who mourned John's loss and wanted to know how they could commemorate his life and help her and Sean. Ono released a solo album, Season of Glass, in 1981. The cover of the album is a photograph of Lennon's blood-spattered glasses. That same year she also released "Walking on Thin Ice", the song the Lennons had mixed at the Record Plant less than an hour before he was murdered, as a single. Chapman pleaded guilty in 1981 to murdering Lennon. Under the terms of his guilty plea, he was sentenced to 20-years-to-life and later automatically became eligible for parole in 2000. However, Chapman has been denied parole ten times and remains incarcerated at the Wende Correctional Facility. Jay Hastings, the Dakota doorman who tried to help Lennon, sold the shirt he was wearing that night, stained with Lennon's blood, at auction in 2016. It sold for £31,000. Leibovitz's photo of a naked Lennon embracing his wife, taken on the day of the murder, was the cover of Rolling Stone's 22 January 1981 issue, most of which was dedicated to articles, letters and photographs commemorating Lennon's life and death. In 2005, the American Society of Magazine Editors ranked it as the top magazine cover of the last 40 years. Every 8 December, a memorial ceremony is held in front of the Capitol Records building on Vine Street in Hollywood, California. People also light candles in front of Lennon's Hollywood Walk of Fame star, outside the Capitol Building. On 28–30 September 2007, Durness held the John Lennon Northern Lights Festival, which was attended by Lennon's half-sister, Julia Baird, who read from his writings and her own books; and Stanley Parkes, Lennon's Scottish cousin. Parkes said, "Me and Julia [Baird] are going to be going to the old family croft to tell stories". Musicians, painters and poets from across the U.K. performed at the festival. As of 2005, Ono still placed a lit candle in the window of Lennon's room in the Dakota every year on 8 December. Every 9 October, Lennon's birthday, through 8 December, the date Lennon was shot, the Imagine Peace Tower in Iceland is lit. The Imagine Peace Tower (Icelandic: Friðarsúlan, meaning "the peace column") is a memorial to John Lennon from his widow, Yoko Ono, located on Viðey Island in Kollafjörður Bay near Reykjavík, Iceland. On 24 March 2018, McCartney participated in the March For Our Lives, a protest against gun violence, because of Lennon's killing. David Bowie, who befriended Lennon in the mid-1970s (Lennon co-wrote and performed on Bowie's US #1 hit "Fame" in 1975), performed a tribute to Lennon in the final show of his Serious Moonlight Tour at the Hong Kong Coliseum, on 8 December 1983—the third anniversary of Lennon's death. Bowie announced that the last time he saw Lennon was in Hong Kong, and after announcing, "On this day, December the 8th 1980, John Lennon was shot and killed outside of his New York apartment," he performed Lennon's song, "Imagine". David Gilmour of Pink Floyd wrote and recorded the song "Murder" in response to Lennon's death; the song was released on Gilmour's solo album, About Face (1984). Bellamy Brothers released "Old Hippie"--The song's lyrics reference the Woodstock Music and Art Fair, which took place in August 1969, and the December 1980 shooting death of John Lennon. George Harrison released a tribute song, "All Those Years Ago" (1981), featuring Ringo Starr and Paul McCartney. Elton John, who had recorded the number-one hit "Whatever Gets You thru the Night" with Lennon, teamed up with his lyricist Bernie Taupin and recorded a tribute to Lennon, entitled "Empty Garden (Hey Hey Johnny)". It appeared on his album Jump Up! (1982), and peaked at #13 on the US Singles Chart that year. When he performed the song at a sold-out concert in Madison Square Garden in August 1982, he was joined on stage by Ono and Sean. McCartney released his tribute, "Here Today", on his album, Tug of War (1982). Queen, during their Game Tour, performed a cover of Lennon's solo song "Imagine" at concerts after Lennon's death. Queen also performed the song "Life Is Real", from the album Hot Space (1982), in his honour. It was written by singer Freddie Mercury. Roxy Music added a cover version of the song "Jealous Guy" to their set whilst touring in Germany, which they recorded and released in March 1981. The song was their only U.K. #1 hit, topping the charts for two weeks. It features on many Bryan Ferry/Roxy Music collections, though not always in its full-length version. Paul Simon's homage to Lennon, "The Late Great Johnny Ace", initially sings of the rhythm and blues singer Johnny Ace, who is said to have shot himself in 1954, then goes on to reference John Lennon, as well as President John F. Kennedy, who was assassinated in 1963, the year "Beatlemania" started. Simon had actually premiered the song during Simon & Garfunkel's reunion Concert in Central Park in 1981; near the end of the song, a fan ran onto the stage, possibly in response to Simon's mentioning Lennon in the lyrics. The man, saying to Simon, "I have to talk to you", was dragged offstage by Simon's personnel; all of this can be seen in the DVD of the concert. The song also appears on Simon's Hearts and Bones (1983) album. Bob Dylan wrote and recorded the song "Roll On John" on his 2012 album, Tempest. XTC performed "Rain" in Liverpool the night after Lennon's death. In 1985, New York City dedicated an area of Central Park where Lennon had frequently walked, directly across from the Dakota, as Strawberry Fields. In a symbolic show of unity, countries from around the world donated trees, and the city of Naples, Italy, donated the Imagine mosaic centerpiece. On 9 October 2007, Ono dedicated a new memorial called the Imagine Peace Tower, located on the island of Viðey, off the coast of Reykjavík, Iceland. Each year, between 9 October and 8 December, it projects a vertical beam of light high into the sky in Lennon's memory. In 2009, the Rock and Roll Hall of Fame's New York City annex hosted a special John Lennon exhibit, which included many mementos and personal effects from Lennon's life, as well as the clothes he was wearing when he was murdered, still in the brown paper bag from Roosevelt Hospital. In 2018, Ono created an artwork in John Lennon's memory, titled "Sky", for MTA Arts & Design. The artwork was installed during the renovation of the New York City Subway's 72nd Street station (served by the B and ​C trains), which is located outside the Dakota. The Killing of John Lennon (2007), directed by Andrew Piddington and starring Jonas Ball as Chapman. Chapter 27 (2008), directed by J. P. Schaefer and starring Jared Leto as Chapman and actor Mark Lindsay Chapman as Lennon. Lindsay Chapman had previously been cast (and billed then as "Mark Lindsay") in NBC's John & Yoko: A Love Story (1985), but Yoko Ono demanded the role of Lennon be re-cast after it was revealed that the actor's real surname was Chapman. The Lennon Report (2016), which focuses on attempts by doctors and nurses to save Lennon's life. The reason the film was made was to correct several misconceptions tied to the events. The credits at the end of the film contain eyewitness accounts by those in attendance in the ER. A number of roundly refuted conspiracy theories have been published, based on CIA and FBI surveillance of Lennon due to his left-wing activism, and on the actions of Chapman in the murder or subsequent legal proceedings. Barrister and journalist Fenton Bresler raised the idea in a book published in 1990. Liverpool playwright Ian Carroll, who has staged a drama conveying the theory Chapman was manipulated by a rogue wing of the CIA, suggests he was not so insane he could not manage a long trip from Hawaii to New York shortly prior to the murder. Claims include Chapman was a "Manchurian candidate", including speculation on links to the CIA's Project MKULTRA. At least one author has argued forensic evidence proves Chapman did not commit the murder. 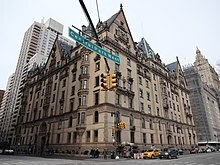 The 2010 documentary 'The Day John Lennon Died' suggests the doorman at the Dakota was a Cuban exile with links to the CIA and the Bay of Pigs invasion. ^ a b c d e f Badman, Keith (2001), The Beatles After the Breakup 1970–2000: A Day-by-Day Diary, Omnibus Press, pp. 270–272, ISBN 978-0-7119-8307-6 . ^ "Hours After This Picture Was Taken John Lennon Was Dead". The Guardian. 12 August 2005. Archived from the original on 4 January 2006. Retrieved 26 July 2007. ^ Lucas, Dean (2007). "Naked Lennon". Famous Pictures Magazine. Archived from the original on 17 February 2014. Retrieved 23 May 2013. ^ Smith, Harry (8 December 2005). "John Lennon Remembered". CBS News. Retrieved 8 November 2008. ^ "The Last Days of Dead Celebrities". ABC News. Retrieved 26 December 2007. ^ "Descent Into Madness". People. 22 June 1981. ^ McGunagle, Fred. "Mark David Chapman: The Man Who Killed John Lennon". Crimelibrary. Archived from the original on 13 May 2008. Retrieved 4 May 2008. ^ Buskin, Richard (3 July 2007). "John Lennon Encounters Mark David Chapman". Howstuffworks.com. Retrieved 6 May 2008. ^ Maeder 1998, p. 173. ^ Ledbetter, Les (9 December 1980). "John Lennon of Beatles Is Killed". The New York Times. ^ "Do It, Do It, Do It!". Courtroom Television Network. Archived from the original on 11 April 2008. Retrieved 4 May 2008. ^ "A Look Back at Mark David Chapman in His Own Words". CNN. 30 September 2000. Retrieved 31 August 2013. ^ "Police Trace Tangled Path Leading To Lennon's Slaying at the Dakota". elvispelvis.com. Archived from the original on 4 December 2014. Retrieved 20 December 2007. ^ "I don't recall saying, 'Mr. Lennon'". The Daily Telegraph. London. 21 August 2008. ^ "Transcript of 2008 parole hearing in which Chapman denies calling out 'Mr. Lennon'". Google News. 12 December 1980. Retrieved 23 October 2010. ^ "Transcript of 1981 competency hearing in which Chapman says he did not say anything to Lennon". Jfkmontreal.com. 22 June 1981. Archived from the original on 14 April 2010. Retrieved 23 October 2010. ^ Lovett, Kenneth (19 April 2008). "Mark David Chapman tells his version of John Lennon slay". New York Daily News. Archived from the original on 24 January 2009. Retrieved 10 May 2009. ^ Walters, Barbara (4 December 1992). "Interview with Mark David Chapman". 20/20. "I pulled the .38 revolver out of my pocket and I went into what's called a combat stance and I fired at his back five steady shots". ^ Wadler, Joyce; Sager, Mike (10 December 1980). "'I Just Shot John Lennon', He Said Cooly". The Washington Post. Retrieved 11 April 2019. ^ Lester, Paul (1 May 2013). "Todd Rundgren: 'Every once in a while I took a trip and never came back'". The Guardian. Retrieved 16 December 2018. ^ a b c Montgomery, Paul L. (9 February 1981). "Lennon Murder Suspect Preparing Insanity Defense". The New York Times. Retrieved 23 October 2010. ^ "The day John Lennon died: Jimmy Breslin writes iconic tale of NYPD cops who drove the dying Beatles star to the hospital". Daily News. New York. 9 December 1980. Retrieved 9 December 2014. ^ Edwards, David (3 December 2005). "Lennon's Last Day". Daily Mirror. Retrieved 4 May 2008. ^ "The John Lennon Assassination". American Justice. 1997. A&E Home Video. ^ "Lennon shot on way to see son". Toronto Star. Toronto. 10 June 2007. Retrieved 20 December 2007. ^ a b Kilgannon, Corey (8 December 2005). "Recalling the Night He Held Lennon's Still Heart". The New York Times. ^ a b O'Donovan, Gerard (7 December 2010). "The Day John Lennon Died, ITV1, review". The Daily Telegraph. ^ Sheff, Vicki (10 December 1990). "The Day the Music Died". Retrieved 11 April 2019. ^ Herbert, Geoff (9 November 2015). "Syracuse doctor: I treated John Lennon night he was shot, others stole credit". Syracuse.com. Retrieved 11 April 2019. ^ Syracuse Doctor Remembers Trying to Save John Lennon's Life. 8 December 2011. Retrieved 11 April 2019. ^ "John Lennon Death Certificate". JFKmontreal.com. 22 June 2004. Archived from the original on 13 December 2009. Retrieved 6 December 2009. ^ Ingham 2006, p. 82. ^ Summers, Sue (5 December 2010). "John Lennon's last day: A gripping new eyewitness account on the 30th anniversary of Beatle's murder". Daily Mail. ^ a b "John Lennon". FindADeath.com. Archived from the original on 13 January 2010. Retrieved 9 April 2014. ^ "John Lennon: New eyewitness accounts". Daily Mail. 5 December 2010. Retrieved 21 April 2012. ^ a b Marinucci, Steve (7 October 2016). "Filmmakers say 'The Lennon Report' Will Set Record Straight on ex-Beatle's Death". Billboard. ^ Yoko Ono gave this statement to Fox News: "I did not bang my head on anything, let alone a concrete floor. This is the first time I hear this story, all the time I had in mind that I had to stay calm and well for Sean's sake. If I banged my head on anything, I might have gotten a head injury. That would have been very bad for me and my son. I thought I had to stay as strong as I could for him." "The untold John Lennon story", Fox News Mediabuzz, 8 November 2015. ^ a b c "The Day John Lennon Died | Week 49 - ITV Press Centre". Itv.com. Archived from the original on 15 October 2012. ^ Crimes of the Century. CNN Original Productions, originally aired in 2013. ^ Ausiello, Jeff (5 December 2010). "Ex-Pats kicker forever linked to Lennon". ESPN. Retrieved 6 December 2010. ^ Monkovic, Toni (6 December 2010). "Behind Cosell's Announcement of Lennon's Death". The New York Times. Retrieved 6 December 2010. ^ "Retro: Lennon shot dead". Yorkshire Evening Post. 9 December 2010. Retrieved 29 April 2011. ^ Thomson, Graeme (2016). George Harrison: Behind the Locked Door. Overlook Omnibus. p. 314, 326. ISBN 0-02-862130-1. ^ Harry, Bill (2002). The Paul McCartney Encyclopedia. London: Virgin. p. 505. ISBN 978-0-7535-0716-2. ^ Buskin, Richard (1 December 1997). The Complete Idiot's Guide to Beatles. Alpha. p. 185. ISBN 0-02-862130-1. ^ "Lennon slaying linked to quote". Milwaukee Sentinel. 11 December 1980. ^ Gentile, Fiorella Dorotea. "The Central Park Vigil, New York, 14 December 1980". Thou Art. Retrieved 3 May 2008. ^ Ward, Bob (8 December 2010). "Bob Ward: Remembering Lennon. With Silence". myfoxboston.com. Archived from the original on 28 July 2015. Retrieved 28 July 2015. ^ Hampson, Rick; McShane, Larry (25 November 1990). "10 years after death, Lennon legend still lives". Lawrence Journal-World. Retrieved 28 July 2015. ^ ""Suicides push Lennon's wife to caution his fans", The Bulletin (Bend, Deschuets County, Oregon)". Google News. 12 December 1980. Retrieved 23 October 2010. ^ Yoko Ono, "In Gratitude". New York Times, 18 January 1981, section 4, p. 24. Entire text on line at The Washington Post where it also appeared 18 January 1981. ^ "Divine Justice". Time. 6 July 1981. ^ "A Matched Pair of Gunmen". Time. 7 September 1981. ^ John Lennon's Killer: The Nowhere Man. New York Media, LLC. 1981. p. 30. ^ "John Lennon killer Chapman denied parole". Today. 7 September 2010. Archived from the original on 8 September 2010. ^ "John Lennon's killer Mark David Chapman transferred to another NY prison". New York Post. Associated Press. 16 May 2012. ^ "Transcript of 2008 Chapman parole hearing". 12 August 2008. Retrieved 23 October 2010 – via Scribd. ^ "Concierge's Shirt Covered In John Lennon's Blood Sold At Auction". I'm Music Magazine. 28 June 2016. Retrieved 12 December 2018. ^ Leibovitz, Annie (Photographer) (22 January 1981). "John Lennon & Yoko Ono-RS 335". Rolling Stone. ^ "Lennon Leads List of Top Magazine Covers". MSNBC. 17 October 2005. Retrieved 23 October 2010. ^ Wayne, Gary. "Capitol Records Building". seeing-stars.com. Retrieved 8 May 2008. ^ a b "John Lennon Northern Lights Festival in Durness". Scotland homepage. Retrieved 25 December 2007. ^ Ross, John (19 May 2007). "Village strikes a chord with Lennon festival". The Scotsman. Retrieved 25 December 2007. ^ Lennon Fans Remember From the Daily News (New York) and reprinted in the Palm Beach Sun-Sentinel, 12 December 2005, page found 3 March 2010. ^ Horton, Alex (24 March 2018). "Why Paul McCartney marched: 'One of my best friends was killed in gun violence'". The Washington Post. Retrieved 24 March 2018. ^ David Currie, ed. (1985). David Bowie: The Starzone Interviews. England: Omnibus Press. ISBN 978-0-7119-0685-3. ^ "John Lennon". songfacts.com. Retrieved 12 May 2009. ^ Bernhardt, Todd (16 December 2007). "Andy and Dave discuss 'Towers of London'". Chalkhills. ^ "Strawberry Fields". centralpark.com. Archived from the original on 17 March 2015. Retrieved 28 July 2015. ^ "The Imagine Peace Tower". Imagine Peace. Archived from the original on 17 October 2007. Retrieved 3 May 2008. ^ Carucci, John (12 May 2009). "Yoko Ono displays John Lennon's bloodied clothes". The Huffington Post. ^ Martinez, Jose (8 October 2018). "The New 72nd Street Subway Station Features Art Designed by Yoko Ono". Spectrum News NY1 | New York City. Retrieved 25 October 2018. ^ "MTA - Arts & Design | NYCT Permanent Art". web.mta.info. Retrieved 7 October 2018. ^ Smith, Kyle (4 January 2008). "The Killing of John Lennon". Rotten Tomatoes. Retrieved 7 August 2011. ^ Emerson, Jim (25 April 2008). "Chapter 27". Rotten Tomatoes. Retrieved 7 August 2011. ^ Jon Wiener (27 September 2006). "CIA-FBI Cooperation: The Case of John Lennon". Huffington Post. ^ JOAN GOULDING (23 June 1984). "Documents show CIA and FBI spied on Lennon". UPI. ^ "Fenton Bresler", The Guardian, 18 December 2003. ^ Jon Austin (24 May 2017). "John Lennon 'was murdered by CIA-trained killer to stop ex-Beatle radicalising youth'". Daily Express. ^ Rory McKeown (9 October 2017). "SHOCK CLAIM: John Lennon 'murdered by the CIA'". Daily Star. ^ Peter Sheridan (6 December 2010). "John Lennon's last moments". Daily Express. 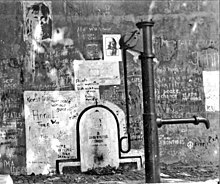 ^ Astrucia, Salvador (2006). Rethinking John Lennon's Assassination- the FBI's War on Rock Stars. Gaithersburg, Maryland: Ravening Wolf Publishing Company. ISBN 0-9744882-1-6. ^ Vanessa Thorpe (5 December 2010). "John Lennon: the last day in the life". The Guardian. ^ Amy Andrews (4 December 2010). "CIA link to John Lennon death possible says new documentary". Irish Central. Maeder, Jay (1998). Big Town, Big Time: A New York Epic : 1898-1998. Sports Publishing. ISBN 9781582610283. The Associated Press (8 December 2005). "Lennon's death lingers for those who were there". MSNBC. Brook, Tom (8 December 2000). "The night Lennon died". BBC. Cardinals, The (2015). The Dakota Apartments: A Pictorial History of New York's Legendary Landmark. Campfire Publishing. ISBN 978-0692420591. Hamill, Pete (20 December 1980). "The Death and Life of John Lennon". New York. Jones, Jack (1992). Let Me Take You Down: Inside the Mind of Mark David Chapman. Villard Books. ISBN 978-0-8129-9170-3. Seaman, Fred (1991). The Last Days of John Lennon. Birch Lane Press. ISBN 978-1-55972-084-7. "Witnesses From the Night Lennon Was Shot". FOX News. 7 December 2005. Archived from the original on 26 October 2012. Retrieved 9 December 2009. History Channel. "CRIME FILE - Famous crime: Mark Chapman: The Assassination of John Lennon". Crime Investigation Network.